The Abbey Resort, a treasured and famous icon and the only full-service lakefront resort property on Lake Geneva, completed a $40 million redevelopment project in the Spring of 2005 establishing itself as the premier leisure and business destination of the Midwest. Avani Spa: A 35,000 sq-ft, nationally acclaimed, destination spa--one of the country's largest--with more than 40 services, including: massage aromatherapy rooms salon facials wraps pool steam rooms saunas and more. Guest rooms: Guestrooms feature an elegant and beautiful lake cottage design outdoor patio or balcony flat-screen LCD television hi-speed Internet cordless phones in-room movies refrigerator microwave safe coffee maker CD clock radio iron and ironing board. Dining: Nine new dining concepts. Porto is a seaside villa-inspired. 240 West is set amid spectacular marina views. 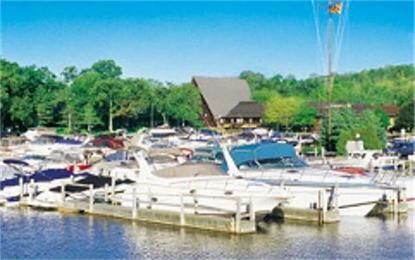 The Waterfront, a restaurant with indoor and outdoor marina dining. Cafe Latte; coffee shop featuring Starbucks.